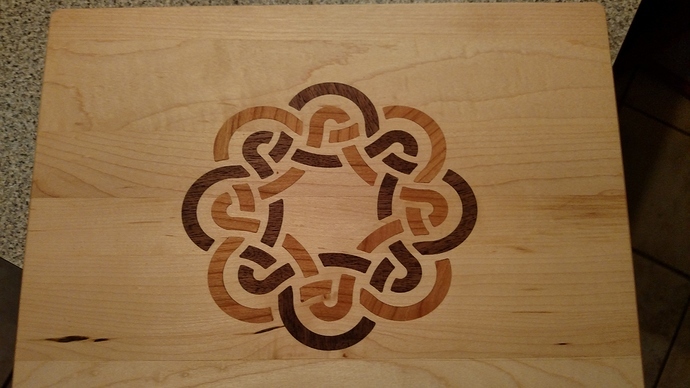 Inspired by all the awesome inlay projects posted on the forum, we created a template for designing customized inlay cutting boards! These make impressive holiday gifts that are both beautiful and useful. You are also invited to our latest Easel Live experiment this Friday 12/9, at 12pm CST on Youtube! 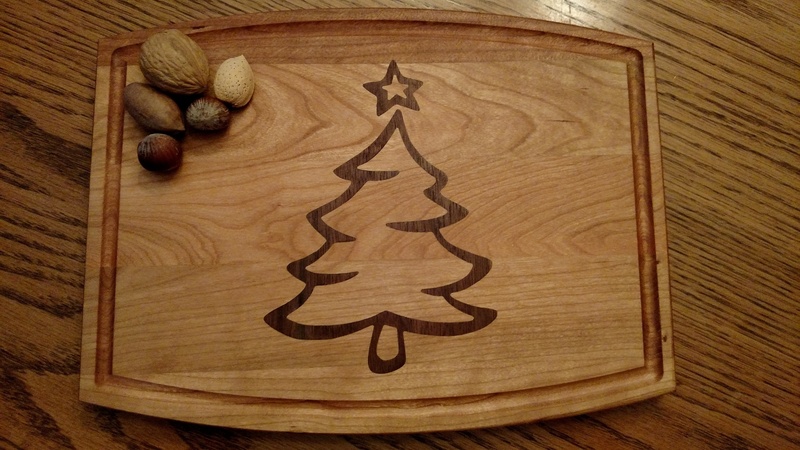 @mstych (possibly in a so-ugly-it's-awesome Christmas sweater) will show you step-by-step how to customize the template with a simple inlay. We'll also get our feet wet with some more advanced inlay techniques (how did we do that heart? ), and share some tips and tricks we've learned about making inlays in Easel. 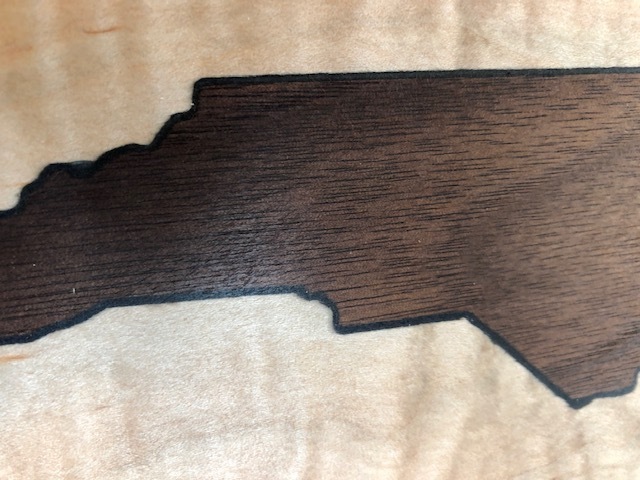 If you make an inlay cutting board, please post it below! 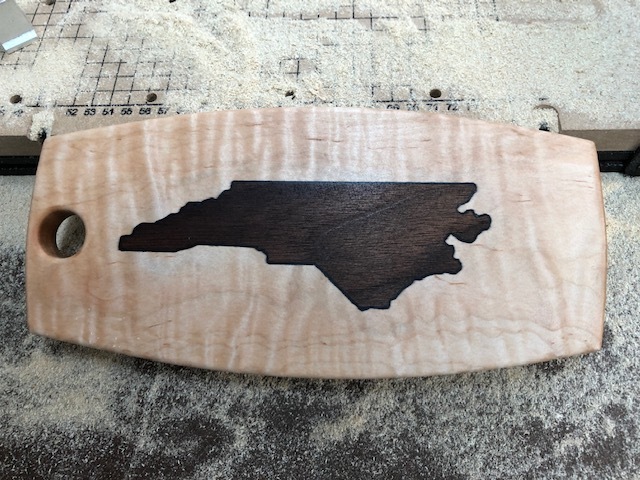 A template for making cutting or serving boards. Makes a great gift when personalized with an inlay. That looks great, is the inlay walnut? African Blackwood on both and mineral for the frog. The middle board I accidentally posted. Wow those are some pretty nice looking inlays. Do you need to sign up for Easel Live or just hit the YouTube link at 12pm? Easel Live is open to anyone with this link. Just click the link at 12 cst or click the link now and leave the tab open until it starts. I made a custom cutting board for my relatives Len and Walter. They are they biggest wine lovers I know, and they host a Christmas party every year. I think they will love this gift. The wine bottle and glass were an icon in Easel and I used the text tool to personalize it! This is a cutting board I made for my mom out of walnut and birdseye maple with a healthy dose of mineral oil. The inlay is of Mt. Hood which is a popular mountain in Oregon and a much beloved recreational area for my parents, who will be receiving this gift tonight. Special shout out to @paulkaplan for helping me figure out the creative image trace for the inlay! Thanks for the tutorial @mstych! That looks awesome!! I love it! Bamboo base, maple wine glass, padauk wine, purple heart grapes, and walnut stem. I like the wine inside the glass! Very cool! Here are a few boards I've done recently. They are all done with Easel. The basket weave design came out of the easel icon group. Thanks! After i was finished I was thinking the wine should have been next to the maple rather than a gap. lessons learned and observed for next time. @TylerJeffrey what bit did you use for the weaver sign? thanks! I used a 1/32 2 flute downcut bit. Most are 1/16 but the small letters on that board required the 1/32. I really love the downcut bits. For the inlay, I flip the graphic in Easel so I cut the bottom of the inlay first. This creates a nice sharp edge to put into the pocket. I also leave the pocket .015 - .020" shallower than the inlay. Glue it in and a few hits with the palm sander and it's all set. For my parents who live in North Carolina. My initial cutout was 1/32-1/16 to large for the inlay. out as a fix, is probably going to be used again as an accent.